Today’s tasting notes: Bread. A warm loaf of bread. At least that’s how it smells. And this is a whisky I could enjoy on smell alone. 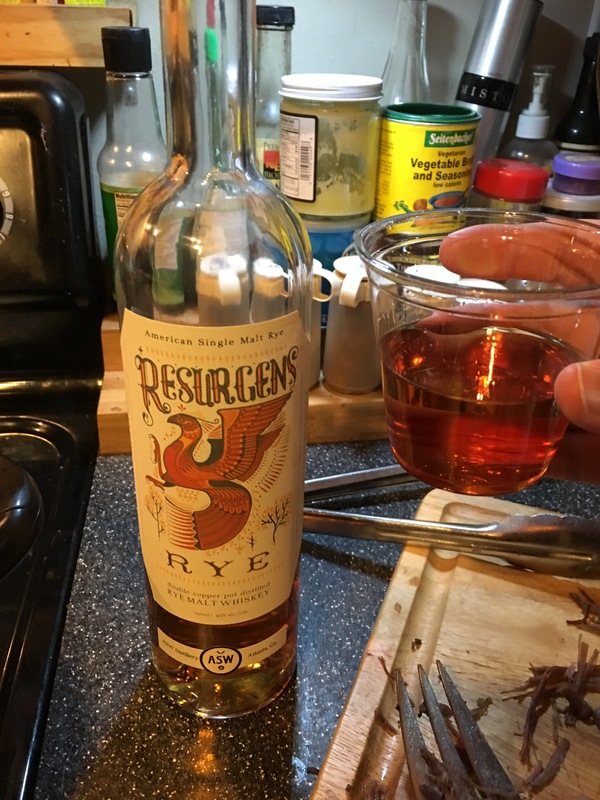 But smell is not intoxicating, so … the taste is spicy, as you might expect from rye. It has bite, but it probably won’t bowl you over. Probably. Today’s thoughts: This is not the whisky I planned to review tonight, but I let myself go. To a party. With people. People who brought booze. For the party. This was on the table. Today’s deep philosophical musing: The Earth goes round the sun. The apes sit on the Earth. Some of the apes discover fermentation. Good apes. Goooood. Today’s toast: To relaxation — it’s good for the soul.